Many of our NAMC students and graduates around the globe are interested in eventually opening their own Montessori schools. In fact, this was the main reason I completed the NAMC 3-6 training. I realized that if I was going to be the administrator of a Montessori school, I needed to know personally about the Montessori philosophy and method if I was going to hire and retain the best teachers and attract families. Striving for and maintaining the Montessori “standard” is an ongoing commitment and practice for any Montessori school. Whether you are an experienced Montessori teacher or a Montessori administrator it is a good idea to occasionally take a look at your current program and make sure you can find evidence that what is happening in your school accurately reflects the Montessori philosophy of education as well as your school’s mission statement. Montessori teacher candidates and prospective Montessori parents are encouraged to visit several Montessori schools and make formal classroom observations so as to witness the Montessori philosophy and method in action. Using a checklist such the one below should help you get a sense as to whether or not the school is adhering to Montessori’s own principles. What would Dr. Montessori observe? NAMC's Classroom Guides provide detailed guidance on the Montessori philosophy, and how to apply it in your Montessori classroom. The Classroom Guides are an integral part of all NAMC's diploma programs, and are also available for sale separately. As much as possible, NAMC’s web blog reflects the Montessori curriculum as provided in its teacher training programs. We realize and respect that Montessori schools are unique and may vary their schedules and offerings in accordance with the needs of their individual communities. We hope that our readers will find our articles useful and inspiring as a contribution to the global Montessori community. © North American Montessori Center - originally posted in its entirety at Montessori Teacher Training on Wednesday, October 21, 2009. Have questions or comments? Let us know what you thought about this article! We appreciate feedback and love to discuss with our readers further. Are you interested in reading back through NAMC's blog articles from years gone by, or for more information on a specific topic? Browse a select list of our most popular categories below; by clicking on one, you will see every article posted under that topic since 2007. You may also use the lower archive menu to select a year and month, displaying all blog posts in the chosen time frame. If you are seeking a range of information on a certain topic or idea, try this search box for site-wide keyword results. Thank you to the NAMC Montessori community! This year marks NAMC’s 20th anniversary of providing quality Montessori distance training and curriculum development to Montessorians around the globe. Since we began in 1996, we have grown to build a fantastic community of students, graduates, and schools in over 120 countries. We are grateful for your continued support and dedication to furthering the reach and success of the Montessori method. Thank you for sharing this amazing milestone with us! 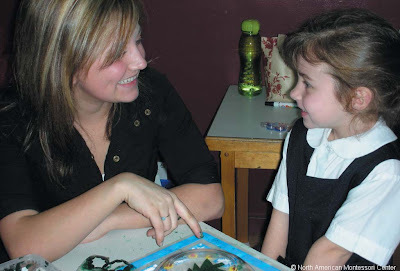 NAMC's Montessori Teacher Training blog provides the latest information and developments in Montessori education techniques and the Maria Montessori method. NAMC strives to produce content that will support and inform students enrolled in diploma programs, as well as Montessori educators worldwide. Learn how to create an enriched learning environment for children birth to 3 years old! You will be guided step by step through activities that will support the important developmental stages of young children. Learn to guide the whole child toward true learning potential by preparing an environment that fosters a concrete, hands-on approach to learning! 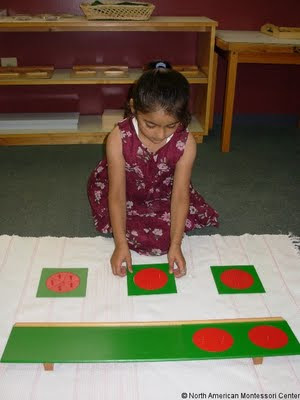 You'll develop a foundational understanding of Montessori materials and presentations for children aged three to six. Learn how to engage lower elementary students in meaningful work while sparking their imagination and giving them the tools to answer the important question, “why?” You'll prepare to guide the social and reasoning minds of Montessori students age six to nine. Learn to support a collaborative and cooperative learning environment that encourages upper elementary students to explore their interests and goals. You'll help children ages nine to twelve continue the transition from concrete learning to abstract thought. Begin your Montessori journey today! The summer is a great time to take advantage of beautiful weather and explore Montessori activities outdoors. This collection of articles features tips on preparing the outdoor environment, as well as activity ideas.